PokerStars parent Rational Group has announced that on May 20th, the United States Patent and Trademark Office (USPTO) will issue a patent protecting its ownership of the “fast-fold” online poker concept. PokerStars acquired the interest in multiple US patent applications relating to fast-fold online poker as part of its purchase of the complete assets of Full Tilt Poker in 2012, part of a complex deal with the US Department of Justice that also allowed for the refunds of balances to customers of the original US-owned Full Tilt Poker, which ceased operations shortly after 2011’s Black Friday. According to a report yesterday at pokerfuse, Rational Ft Enterprises Ltd. will receive US Patent #8,727,850, which describes a “Computer gaming device and method for computer gaming.” The news represents something of an about-face from the last time Rational Group’s US patent applications regarding fast-fold poker were in the news, that when a different but related patent application, also inherited from Full Tilt, was denied last October. Much of the previous reporting in poker outlets regarding these patent applications has been incorrect, and the news as released by Rational doesn’t delve into detail; nonetheless, FlushDraw has assembled a largely complete background story, which should explain why PokerStars appears to have succeeded in this latest patent effort. A system for computer gaming includes a processor configured to provide a first table of a first group of players grouped together to play a first hand and provide to each of the first group of players one or more cards for the first hand. The system includes an interface couple to the processor and configured to receive from a first player of the first group of players a request to fold the one or more cards of the first player. The processor is also configured to automatically move the first player to a second table of a second group of players grouped together to play a second hand. That’s what fast-fold poker does. 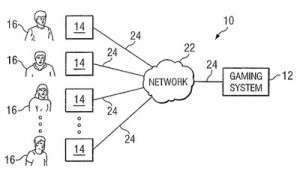 The application included several illustrative diagrams, including the networked players at right, and the patent was assigned to a Texas-based entity created by Burnside and Biesel, Hold ’em One, Inc. The patent application wasn’t published until the summer of 2007, and Burnside and Biesel appear to have been unsuccessful in their original efforts to sell the concept. After all, the late-2006 signing of the UIGEA forced the online poker to entrench and reestablish itself, and a concept as innovative as fast-fold poker might have seemed high risk to many sites. Nonetheless, the market changes in subsequent years found sites seeking to increase the action generated on a per-player basis, and that’s where the concept found its market. Burnside and Biesel sold the concept to Full Tilt parent Pocket Kings Ltd., and the rights to the patent application were assigned to Full Tilt and recorded at the USPTO on October 7, 2010. Full Tilt must have found the original patent application insufficient for its own developmental needs, as it subsequently filed a second patent app, US 13/006,620, with the more specific descriptor “Player-Entry Assignment and Ordering,” and an abstract even more clearly describing what players know as fast-fold poker. Pocket Kings Ltd was listed as the owner of that patent application as well, with John Aaron Davidson and Darse Raymond Billings listed as the inventors. It was filed in early 2011 in several jurisdictions, including the United States, Canada, and for global use, under the “WO” family of patent-application publications serving as the backbone of the global Patent Cooperation Treaty. The Davidson-Darse application incorporated large swaths of the earlier Burnside-Biesel submission in whole, including all of the diagrams from the earlier app. And it was this application that Stars parent Rational Group thought was the active patent application when it announced its plans to enforce its global patent rights. However, while some of the global patent applications were accepted, the US one for the Davidson-Billings creation was rejected. Why? The patent examiner discovered the earlier Burnside-Biesel submission, and correctly cited it as prior use of the concept. It’s unclear why the later Davidson-Billings application didn’t cite the earlier Burnside-Biesel one, but that wasn’t the only problem. No one told the USPTO that the Burnside-Biesel application had also been transferred, courtesy of the 2012 Stars-USDoJ settlement, to Rational Group as well. This page shows that the Burnside-Biesel patent application was assigned to Rational ft Enterprises in August of 2012, but wasn’t recorded at the USPTO until November of 2013. As to why Rational spent over a year pursuing what, as viewed by the USPTO, was the wrong patent application, remains to be fully explained. Yet the truth is that Rational’s rejection last year was due to another patent application that the company also acquired as part of the Full Tilt deal, and the company may not have realized it at the time. Since the Davidson-Billings patent application had been approved in some non-US jurisdictions and the Burnside-Biesel one may never have surfaced, Rational may have been in the dark regarding the sequence of events. Rational duly filed its appeal of the rejected application last month, though that appears to be a backup plan pending a rewrite and proper citations of the original Burnside-Biesel effort. All that explains how the US patent for fast-fold online poker finally came to be, some eight and a half years after its original application. 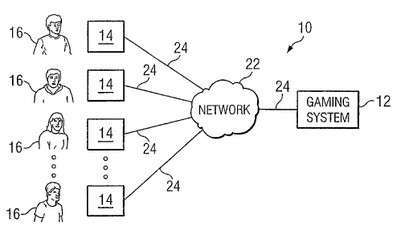 We’ll return later this week for a look at how this patent may affect the US online-poker market.